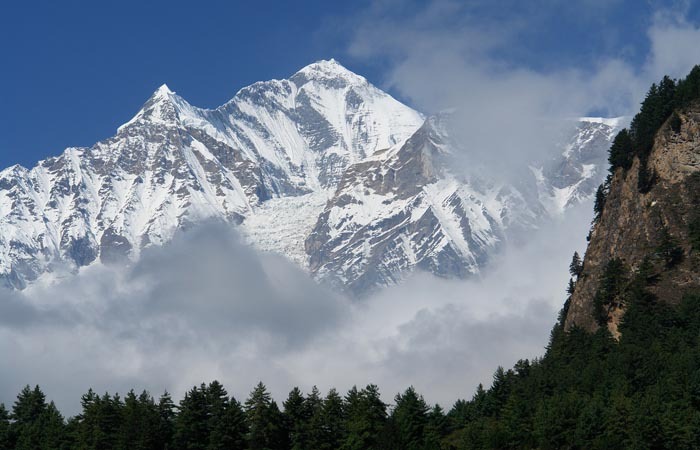 To the north of Pokhara is a trekkers paradise, famously known as the Jomsom trek. The trek in itself brings out the best that Nepal has to offer with the vast diversity along with high mountains and deep valley trails. 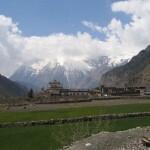 In the Jomsom trek, one gets to sample differentiating geographical climates and terrains ranging from subtropical jungles to windy, dry plateau conditions which is a miniature picture of Tibet. 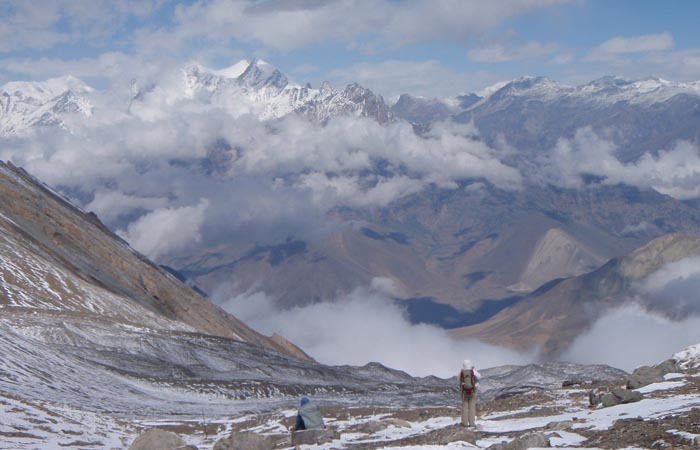 Hikers are left in awe and wonder at such surreal scenery and culture. Cultures and traditions are unravelled to you, of both the high and low lands. 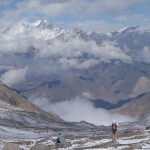 It is only obvious that this hiking route sees the vast majority of trekkers to Nepal, nearly 70%. 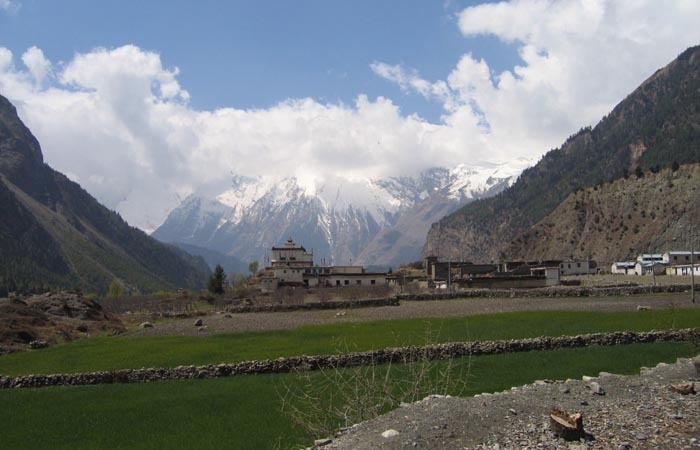 The ascents are relatively easy when following the two set courses – Kali Gandaki to Jomsom and Muktinath. Either way, there is an incessant view of the mountains, the interaction of rural life and culture, not allowing you to return disappointed. The trek begins in earnest from Nayapul after having been driven from Kathmandu, to Birethanti which is actually just a twenty minute hike. Having rested the night, the hike takes us to Tikhedhunga via pastures once used by ponies. 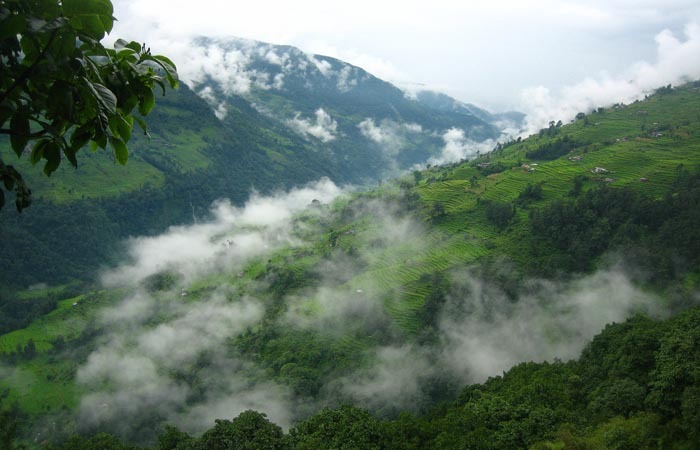 The next leg of the trek is to Ghorepani – meaning white water through trails of soft pastures and lands cultivate to give way to think forests of wonderful rhododendron and oak. 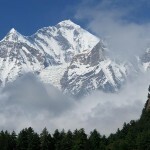 It is here that you also get a unscattered view Dhaulagiri, Tukuche, South Annapurna, Annapurna I and Tarke Kang formerly known as Glacier Dome. 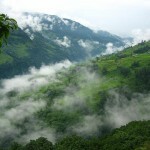 Your next day’s destination is Tatopani, interestingly it name means hot springs as the area is abound in them and it is an area for citrus fruits. 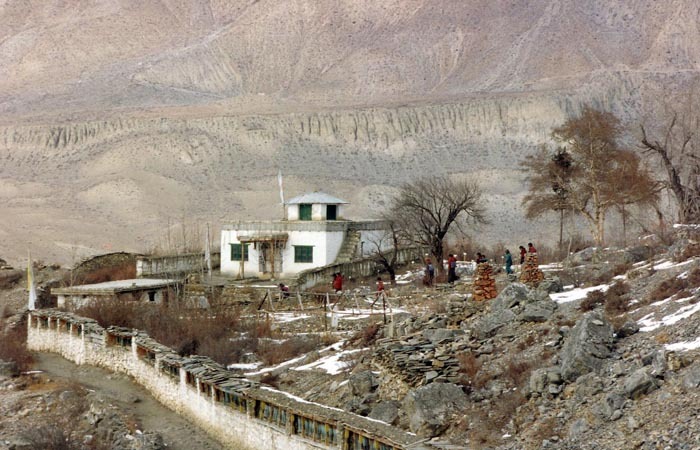 It is onto Ghasa and the trail is said to house one of the deepest gorges in the world in the Kali Gandaki Valley and at the same time you pass a few villages of the Magar, Brahmin and Thakales. There are cascading waterfalls and it is here that the vegetation changes from subtropical trees and shrubs to one of mountainous in nature such as pine and birch. 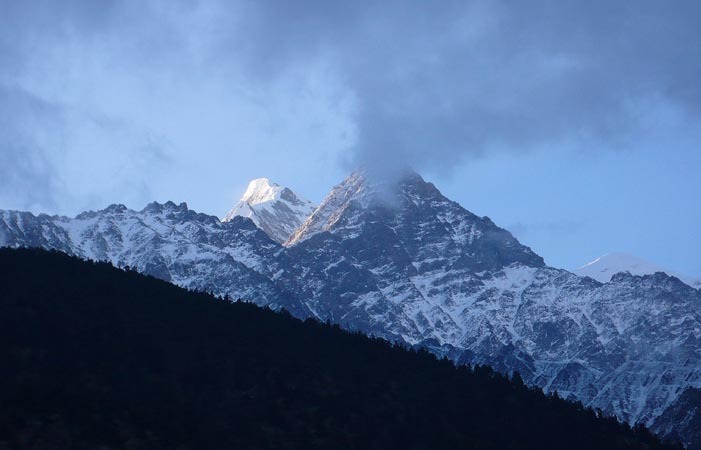 The next on the route is Largung, where you get a circular view of Dhaulagiri, the three Nilgiris, Tukuche and Fang. 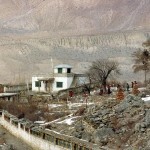 The next stop on our trek is Marpha where you will get to pass apple orchards on the way. 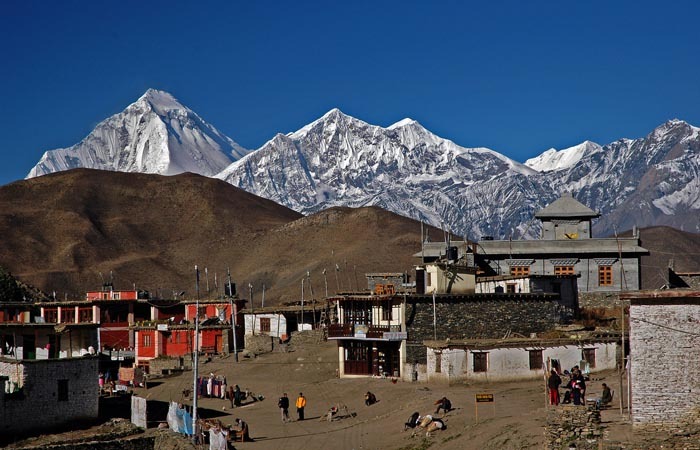 From here, it is onto Kagbeni and then onto Muktinath which is a sacred place for both the Hindus and Buddhist.The last leg of the trek it is onto Jomsom where you finally head back to Pokhara. 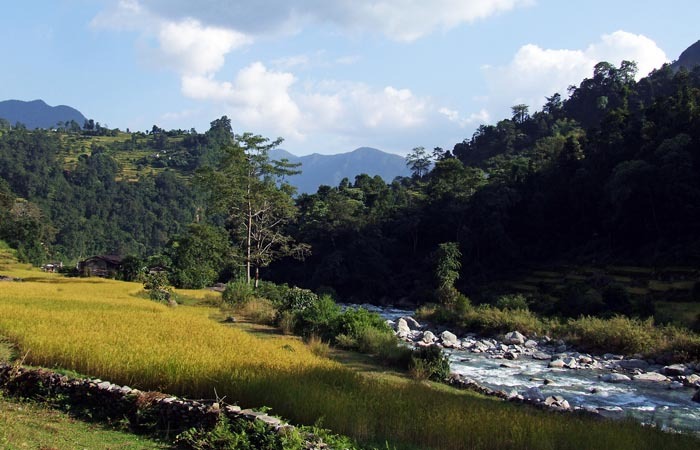 We first get to Nayapul by bus via Pokhara which is the starting point of our trek. 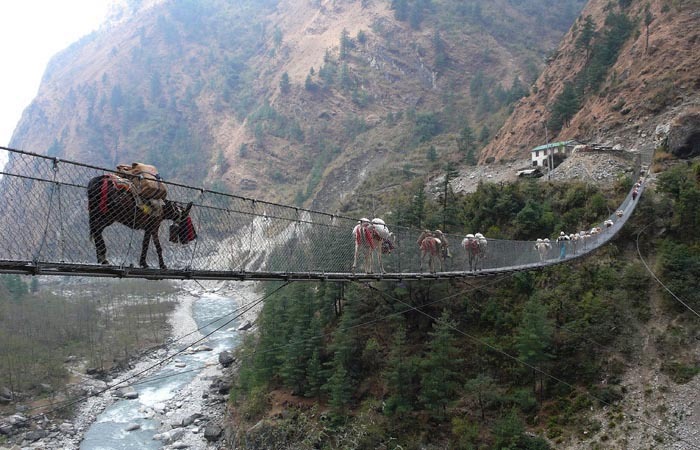 We get across the bridge along a trail leading behind a ridge that becomes more and more rocky heading eastwards on the banks of Modi Khola till Birethanti. O/N stay at lodge. 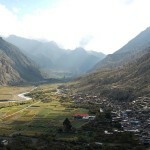 Today we start our full day’s trek to Tirkhedunga. Hike starts through a bamboo forest and past a waterfall, we then fallow the Bhurungdi Khola and across a suspension bridge. Passing through a trail to Sudami climbing up steadily, it is Hille next. 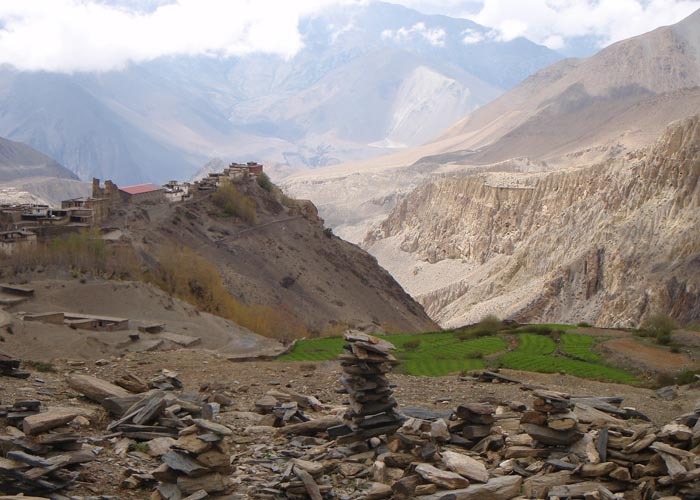 Next, up a stone trail, we get to Tirkhedunga. O/N stay at Lodge. 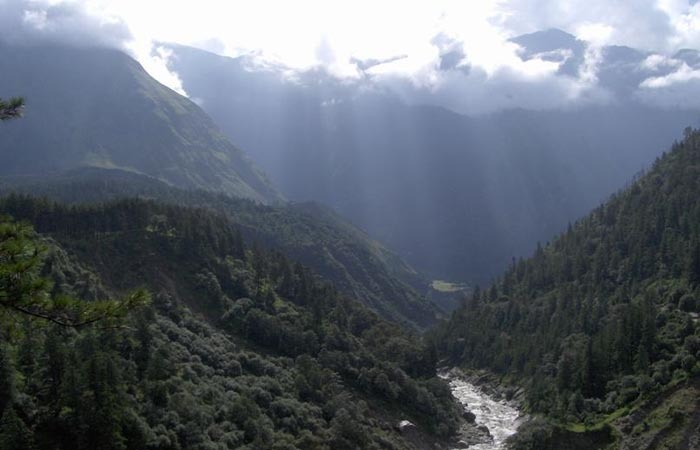 The day’s trek begins by crossing the Tirkhedunga Khola and then Bhurungdi Khola and ascends a steep stone step. 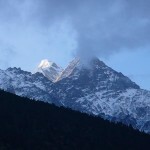 On summit, the top Annapurna south(7219m) and Hiunchuli start appearing form behind the hills. Getting to first Ulleri (2080m), a Magar village and then to Banthanti (2250m), the magnificent view Oak and Rhododendron forest becomes apparent. On crossing two crystal clear streams, it is Nangathanti. 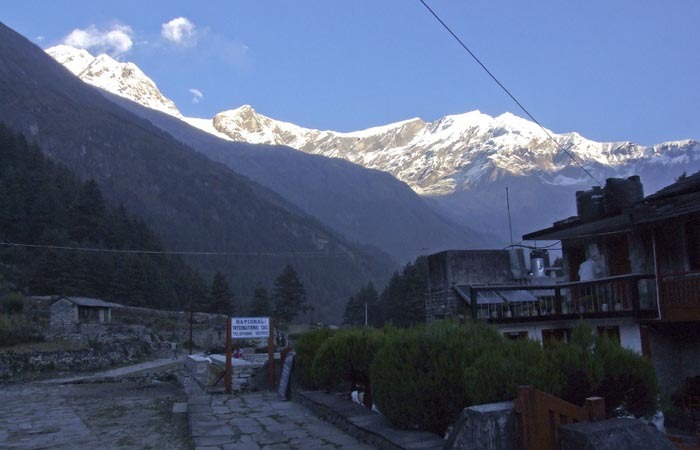 An hour’s hike away is Gorepani, a name in Nepali which means white water. O/N stay in Lodge. Through the pass at Deorali, we trek down a steep muddy trail through rhodendron and magnolia forest with breaks of pastures. 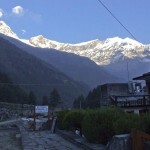 The trail then leads east to Tadapani and Ghandruk and Ghorapani. Via landslide scared land to Phalate (2390m) and then Shikha, Ghara, Ghar Khola over a suspension bridge, finally crossing Kali Gandaki, the trail turns north to Tatopani; meaning hot water in Nepali. O/N stay at lodge. 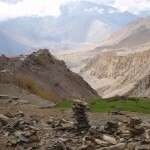 We start the trek up the Kali Gandaki Valley (the deepest gorge in the world). Crossing several landslides and cave like overhanging rocks, we get to Guithe (1320m) and then Dana (1450m). 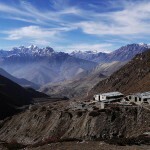 A thirty minute’s hike takes us to Rupse Chhahara (1560m), then Kopchepani and finally Ghasa. O/N stay at lodge. 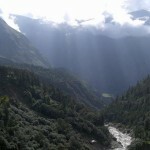 Crossing a ridge and descending to a river and through a forest, the trek takes us to Kaiku (2180m). Then over up and down trails, dropping to the valley, we cross the river and a short walk later to Lete. 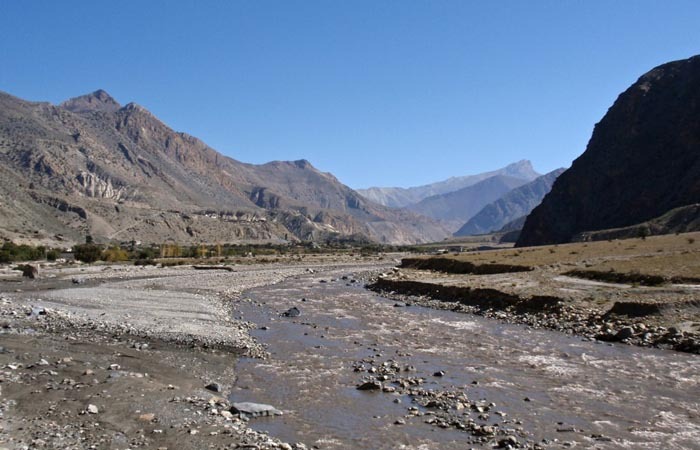 Then through the Kalopani , Dhampu, Kokhethali, we again cross the Kali Gandaki river. It is here Mount Dhaulagiri begins to peep over the horizon. A good distance up the river and a short descend gets us to Largung. O/N stay at lodge. 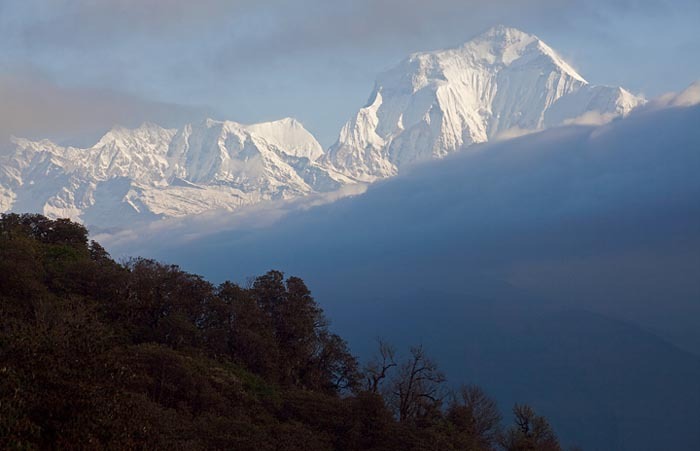 A ten minutes trek gets us to Khobang, the trail passes a few narrow alley ways, which opens out to give views Dhaulagiri and Nilgiri. The trek then moves over flat land and over high cliff side trail to Kukuche (2580m) and after a couple of hours of dramatic scenery onto Marpha. O/N stay at lodge. 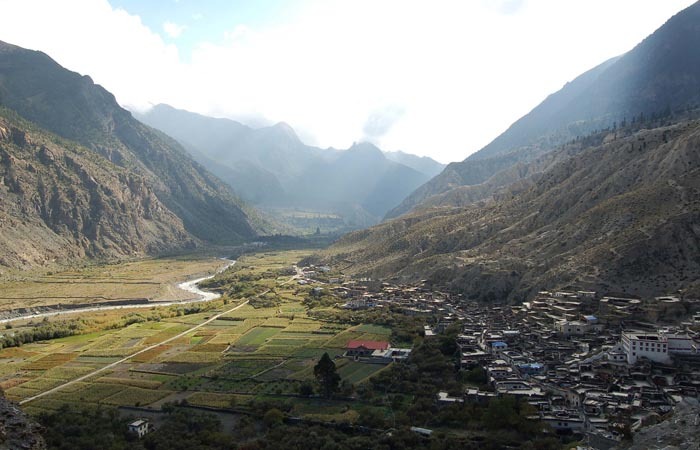 The day’s hike begins by the road at the side of the valley to Shyang (2800m).Then the road traverses towards Kali Gandaki and following the trail along the river we finally get to Kagebei. O/N stay at lodge. 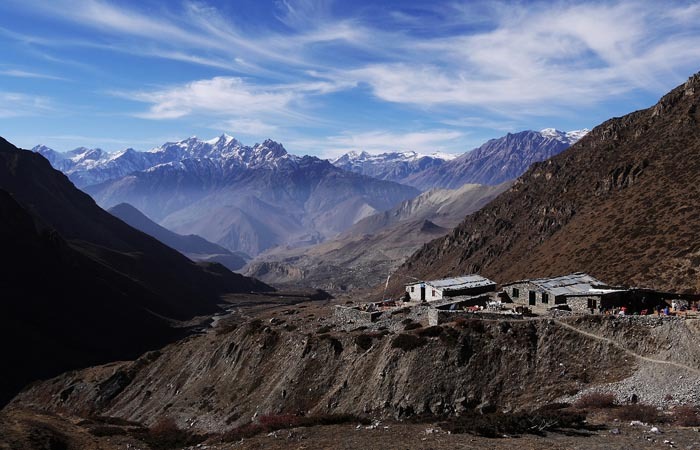 The day’s trek begins with the scintillating view of the Nilgiri peaks in the north making a steep climb to the Jhong Valley, then up higher Khingar (3400m). 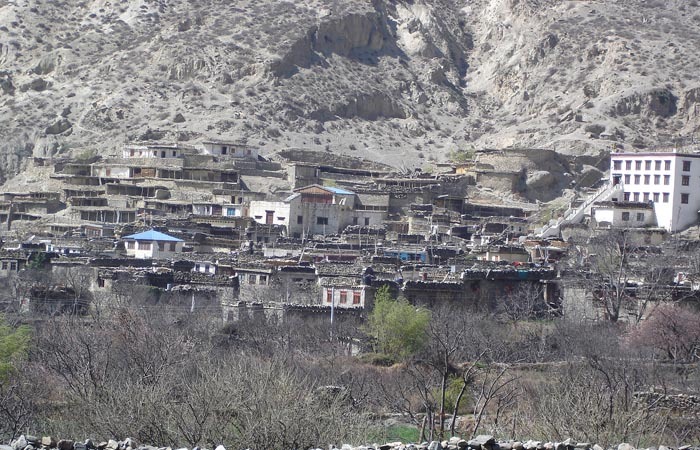 The Jhong Khola takes us to Jharkot (3500m), then to Ranipauwa and finally to Muktinath famed for a Hindu pilgrim sight. O/N stay at lodge. 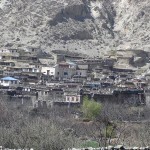 It is an easy trek back to Jomsom with the backdrop of the Annapurna range. O/N stay at lodge.